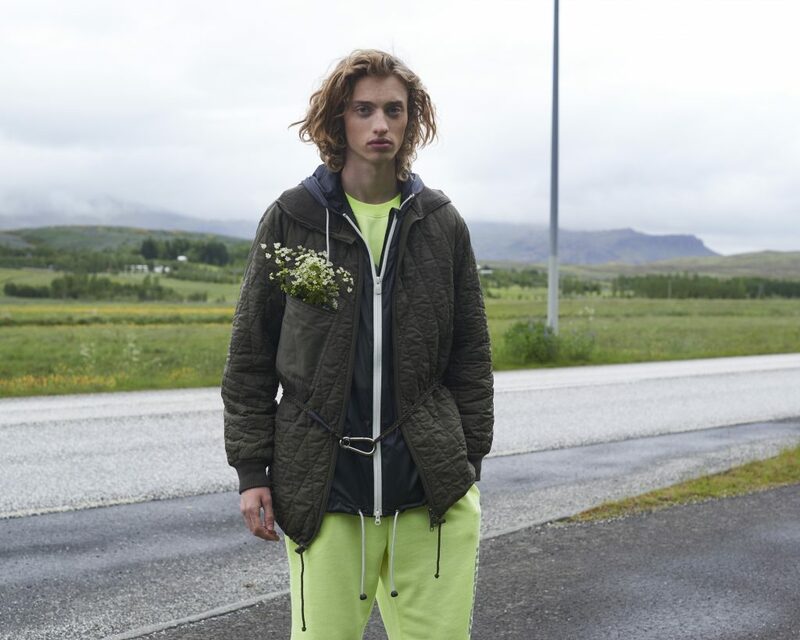 Ivar, wears quilted army green jacket by Jet Korine available at Gloria, sweatshirt and shorts in neon yellow, windbreaker from 66°North, rope belt made by stylist. Urður, wears army green sweater, skirt and canvas bag by Jet Korine, pink silk rope belt by Forte Forte available at Gloria. 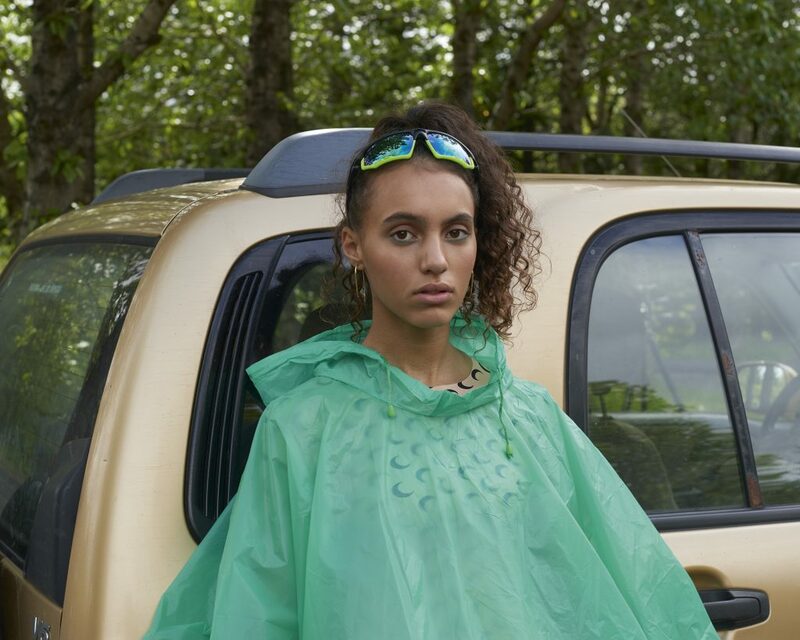 Tanja, wears rain poncho from Flying Tiger, skin tight moon print top by LVMH Prize winner Marine Serre, earrings by Finnish designer Juslin Maunula. Urður, wears vintage trench coat by Jet Korine, cashmere top and trouser set from Jet Korine available at Gloria, neon yellow fanny pack by 66°North. 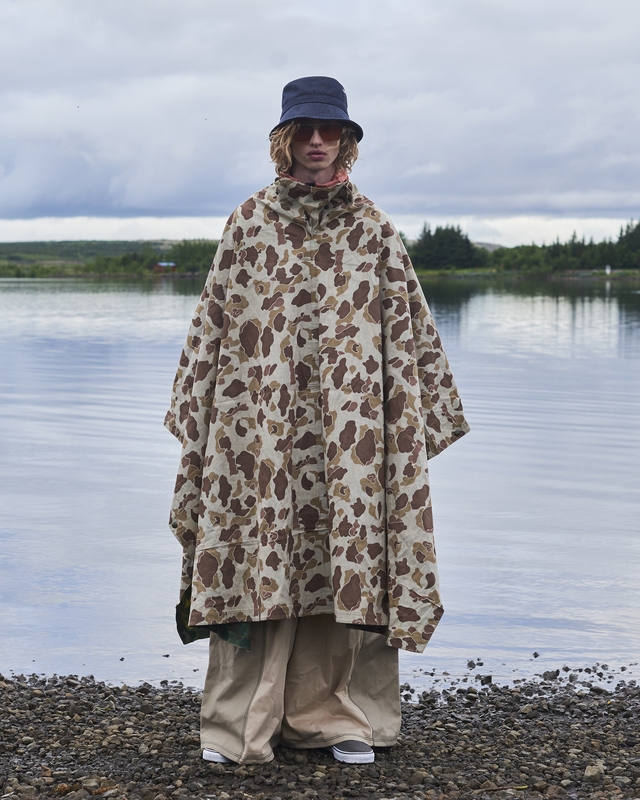 Ivar, wears bucket hat by YMC from Geysir, camouflage poncho vintage, anorak by 66°North, oversized cotton trousers by LHÍ graduate Sólveig Dóra Hafsteinsdóttir, sunglasses by Gosha Rubchinskiy from Geysir, shoes by Vans. 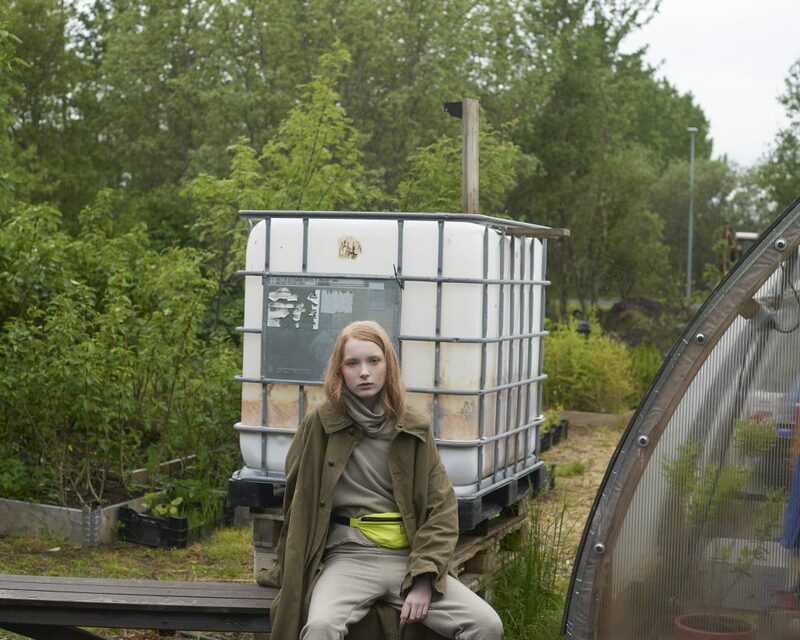 Urður, wears silver rain coat by 66°North, Icelandic sweater by Geysir, pink windbreaker around waist by Nike, trousers with pocket detail by LHÍ graduate Sólveig Dóra Hafsteinsdóttir, socks by Paco Rabanne, sandals LHÍ graduate Sólveig Dóra Hafsteinsdóttir. Urður, wears tie dye dress by Jet Korine available at Gloria, shoes by Paladium from Spuutnik, sleeping bag vintage Útilíf. 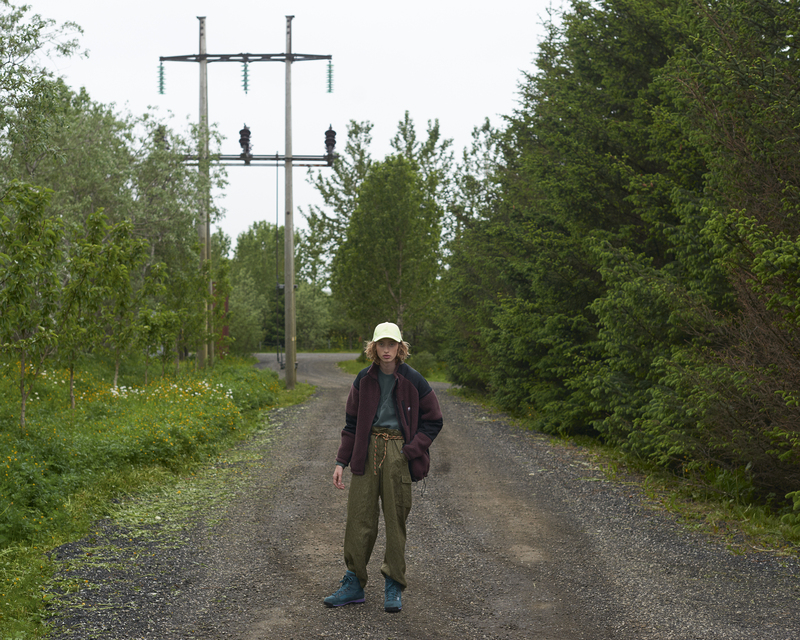 Ivar, wears cap by 66°North, army green sweatshirt 66°North, burgundy fleece 66°North, green army trousers by Jet Korine available at Gloria, hiking boots from Spuutnik. Tanja, wears sunglasses by Rudy Project, neon yellow dry fit t-shirt Nike, skin-tight moon print top by LVMH Prize winner Marine Serre, earrings by Finnish designer Juslin Maunula, denim blue jeans by Gosha Rubchinskiy from Geysir.